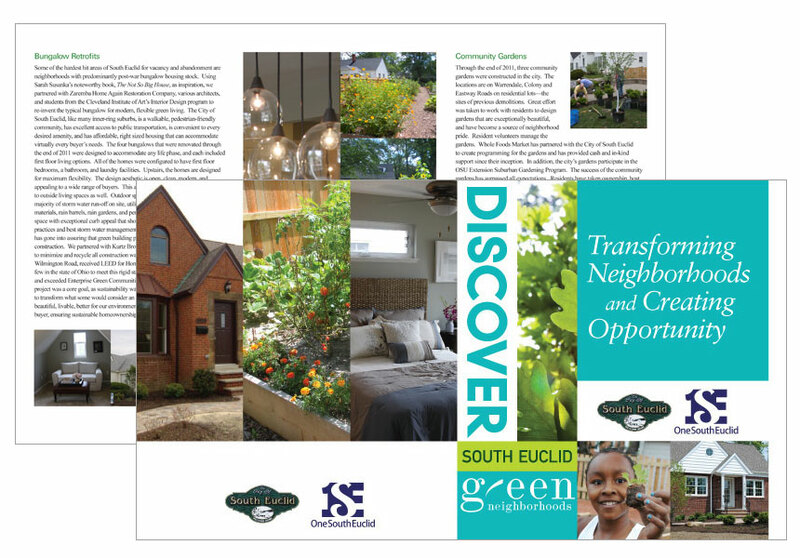 The forward-thinking folks at the City of South Euclid and One South Euclid, the city’s nonprofit Community Urban Redevelopment Corporation, asked for our creative assistance on a print showcase piece with which to promote the city’s innovative initiatives and encourage a deeper look by grantors. Our gentle editing and clean design sense yielded a smart solution that let South Euclid’s thoughtful progressive civic leadership speak for itself. ©2019 media schmedia LLC • Brand-forward marketing, design and website development • Powered by WordPress.